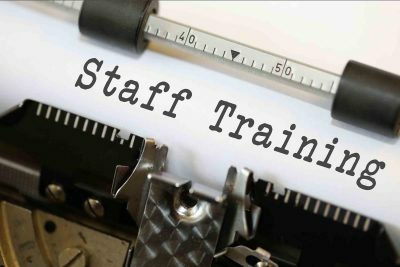 These quick modules are perfect for individual staff self-directed learning, on-boarding new staff (see Easy Branch Orientation and Guide to Staff Training for suggested order), or as a webinar for a group. A script is included via the “Notes” page view, supplementing the slide text and images with additional information. We’ve included a link to a quick learning quiz at the end of the module, covering key points. Staff get instant feedback at the end of the quiz; they can review the module and take the quiz as many times as they wish to solidify their learning. 5 Reasons to Ask if a Family is Active Duty Military – and suggestions! TRICARE is a component of the Military Health Care System and is available worldwide. It’s open to eligible beneficiaries of the seven uniformed services and certain National Guard and reserve members.